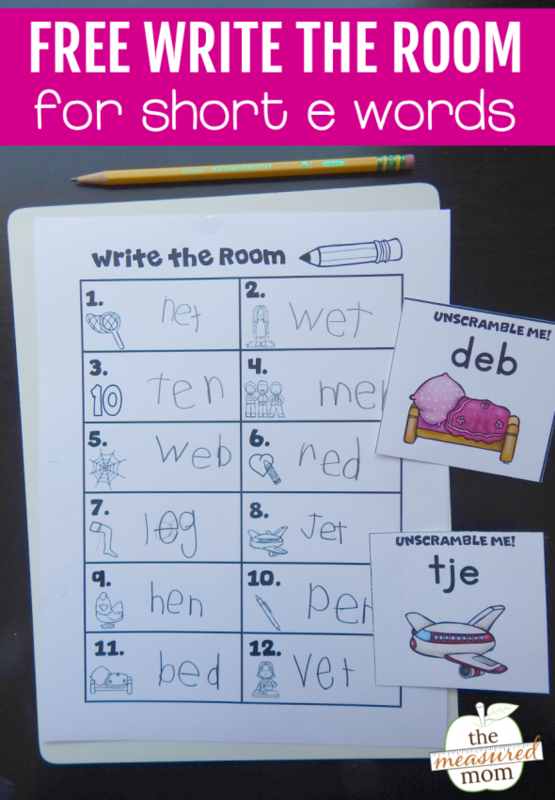 Many of my readers have requested more short vowel write the room printables. So here we are … set 4! The download includes three levels of difficulty. 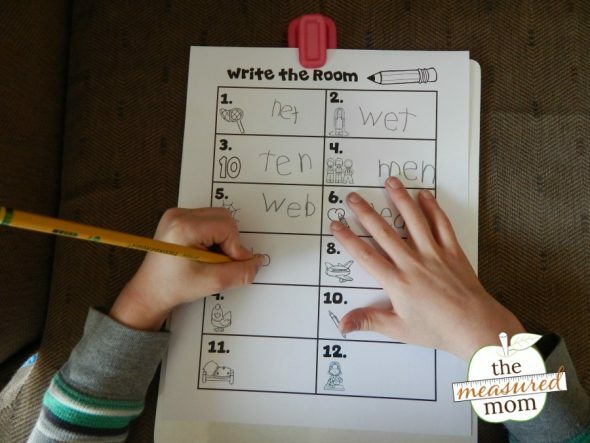 I chose level 3 for my Six, as he reads CVC words automatically and without difficulty. 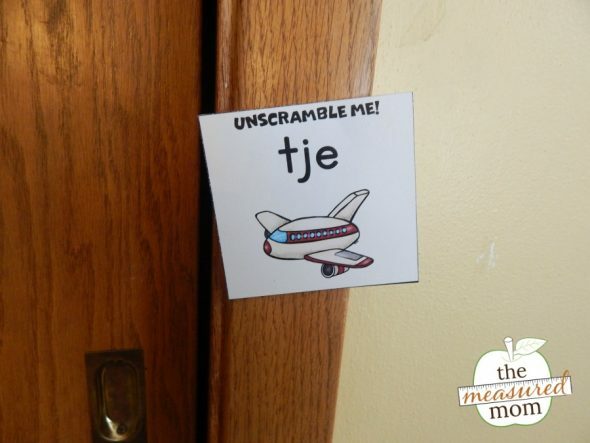 For level 3, you simply cut apart the scrambled words and post them around your home or classroom. 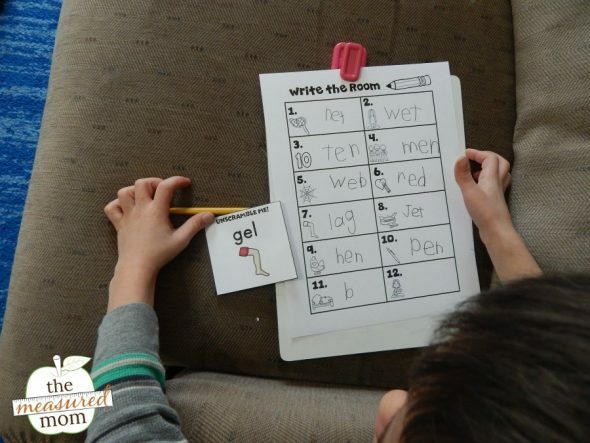 Have your learner(s) carry a recording sheet around the room. 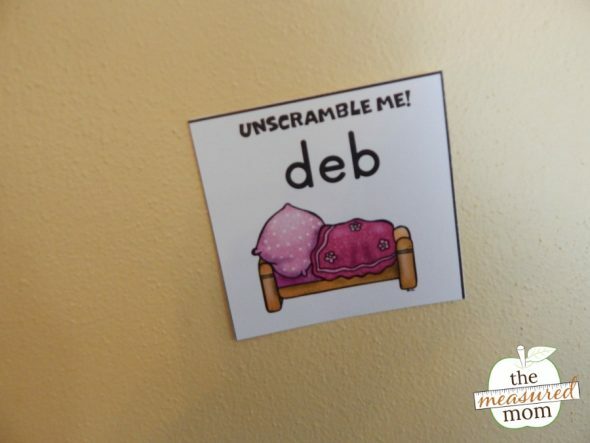 They copy each word using the picture clue (level 1), read and copy each word without a picture clue (level 2), or unscramble and write the word (level 3). 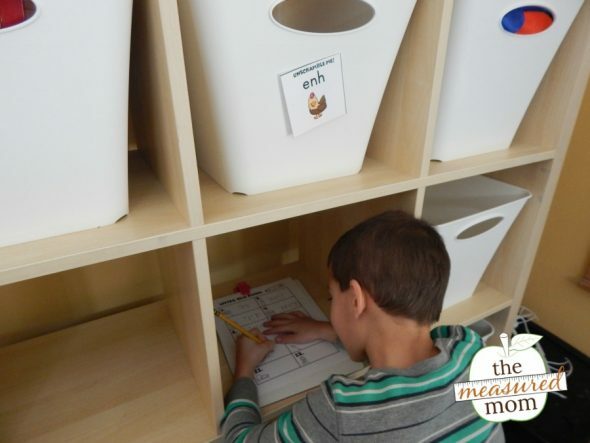 This is quick, enjoyable activity for my Six – one he doesn’t mind doing after a morning at kindergarten. He only made one mistake … he misspelled “leg.” Not a big surprise considering that in our part of the country, leg is often pronounced lage. Just like bag is often pronounced. bage. I’m thrilled to hear that you can use my resources with your granddaughter, Mary Lou – thank you so much for your comment! Thank you for the ideas to help my class learn ( they think that they are playing, and they are learning)! Thank you for the this wonderful resource! I really like that there are different options depending on the level of my students. My students also love it! I was wondering though, do you have any plans to make a set for short u? Actually, I have, I just haven’t written the blog post yet. Hopefully in the next few weeks! This is amazing work, I am now taking charge of my 6 year old’s reading and all the tips will definitely come handy. I’m so glad you found this helpful, Geetu! Thank you! Thank you for so many ways for the students to learn! These are fantastic!! Many thanks!! Thank you! 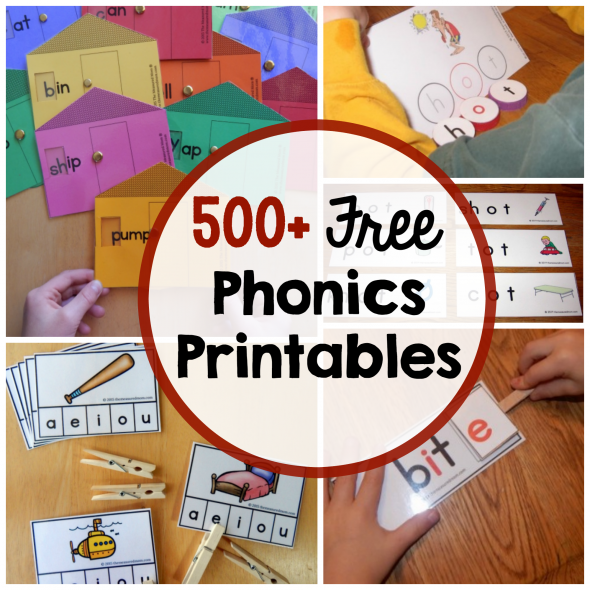 These are truly awesome ways to get children to practice reading skills! I’m a retired teacher who is homeschooling my granddaughter. We needed some fresh, fun ideas. We so appreciate your hard work and willingness to share! 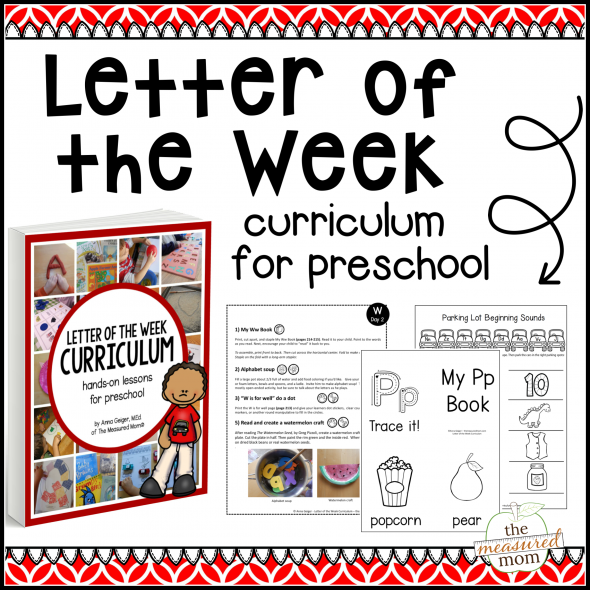 so far it is the best website with resources for preschoolers and I don’t see any competitors being here! Keep it up! Thank you so much for all these..They are a big help to my kids..Stay blessed..